contact ThermX for stock or application assistance. Available in miniature and standard. Strip panels are molded a glass filled thermoset compounds (will not melt) for high strength and dependability. temporarily attaching fine gauge thermocouple probes. High thermal conductivity with excellent dielectric strength makes this grease suitable for many applications. 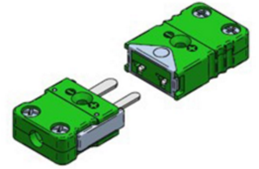 Recommended for use in thermowells and between heat sinks and solid-state relays. Temperature probes can be conveniently secured and sealed into a variety of applications. Our standard fittings come with stainless steel ferrules. Teflon® ferrules are available.